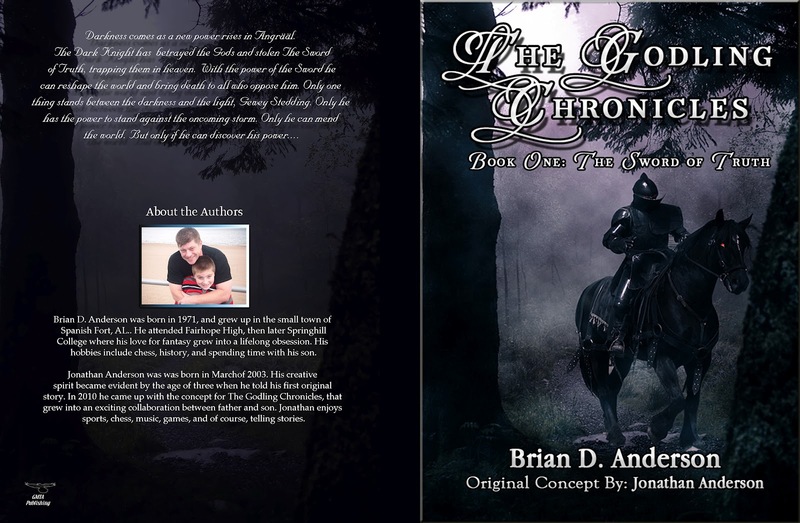 Today's guests are the unusual, father and son team of fantasy creators - Brian D. and Jonathan Anderson who will share the story behind The Godling Chronicles. Welcome Brian and Jon! A couple of years ago, I was working on a rather dark project. The fact of the matter is that most of my writing was dark back then. I was at a crucial part of the story and had been laboring over it for hours. Suddenly, Jonathan (my son) burst through the door, home from school, excited; more excited than usual. When I asked him why, he explained that he had come up with an idea for a story, and was desperate to tell me about it. At first I was a bit irritated. I was on a roll and didn't really want to stop what I was doing. But, not wanting to be a “bad dad,” I smiled and listened. 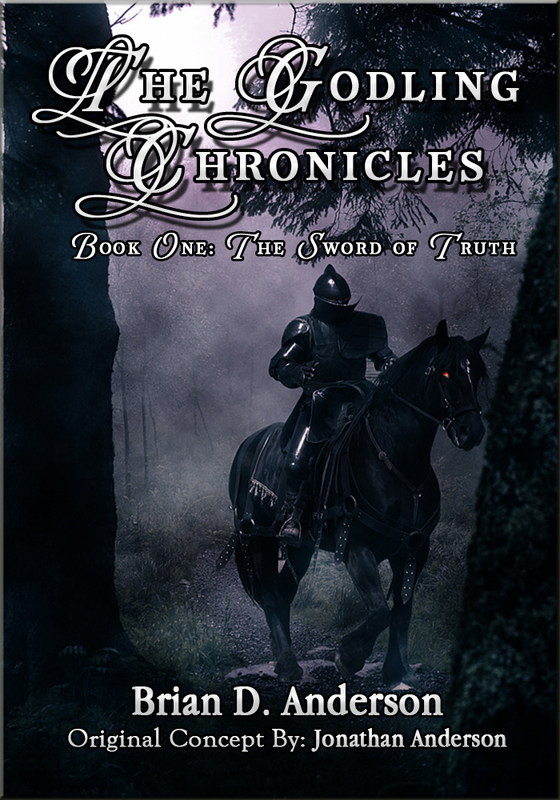 If you want to know what he told me, you need only read the prologue of Book One. I wrote down action for action what he said. I naturally adjusted the language to a more adult tone, and added the dialogue, but the sequences were all his. By the time he finished, I had forgotten all about my dumb book and was captivated. He went on to explain the main character (including his name) and the general idea for the story. ALL THAT FROM THE MIND SEVEN YEAR OLD BOY!!! Right then, I knew that an idea like that could not be left to waste. I abandoned my book and set to work. Admittedly, Jonathan lost interest soon after and moved on to things more fun than watching his old man type. Still, from time to time I would read it to him, and get his opinion. He loved watching it take shape, and relished the idea that other people would one day read it. 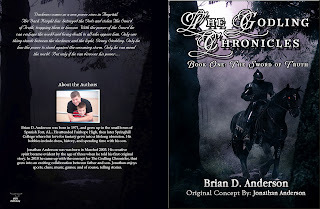 When my first publisher picked up what came to known as The Godling Chronicles, I was elated. I had never been more proud of my son, and I must admit...myself. The day the first copies arrived at our house and I looked in the back to see our picture, it really hit me what had happened. 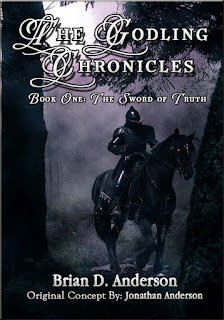 For years I had written dark, cerebral stories that only I and a few others might enjoy. Looking back I see my old work as less of a story, and more of an academic exercise in self-indulgence. And though I had always had a love of fantasy, I had never had been able to write it effectively. That is, until now. 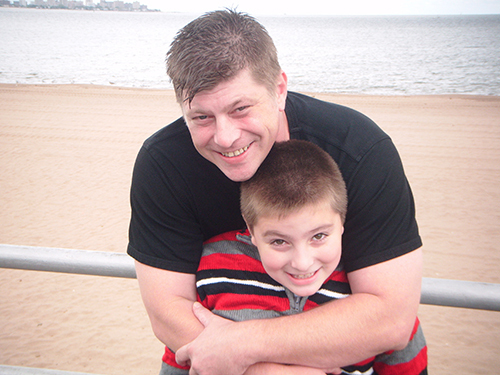 It was as if my son had unlocked something deep inside of me. Something I had always hoped was there, but had resigned myself to believing it was not. Now I am free to write and create without the burden of doubt...and it is all thanks to my inspiration...the light of my life...my son. I know that one day, he will be something special. With a mind like his I see only success in his future. I'm certain that one day the world will know the name Jonathan Anderson. Went to amazon and liked and tagged your books. I also became a follower. Would you like to follow me as well and like my books in amazon? that would be great. Thank you. Thank you Gigi. I will be in touch. What a lovely story! You just made my day. Thank you for sharing it.